We take a look at where and when you should take your next cruise, and who you should decide to take it with. Cruise operators specialise in different areas, and destinations are at their best, depending on what time of year it is. The Mediterranean leads the way in the popularity stakes and summer is the peak time, especially for families. 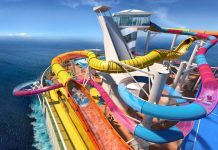 Summer 2011 promises to be the biggest yet with Royal Caribbean International (RCI) basing eight ships in the Mediterranean, while Princess Cruises will have four and Celebrity Cruises will have six. 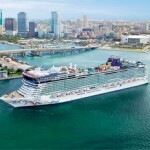 Norwegian Cruise Line will also homeport its new mega-ship Norwegian Epic at Barcelona next summer and Carnival Cruise Line will be returning after a three-year gap. 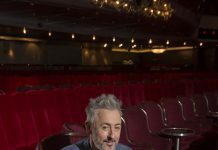 However, for those wanting to avoid the summer crowds and the crush of the school holidays, spring and autumn are good alternative times to visit. The temperatures are more bearable and there is still a good choice of sailings as the US ships tend to arrive in May and stay until October/November. 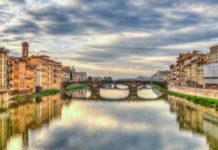 In winter, companies such as RCI, MSC Cruises and Costa Cruises offer Mediterranean sailings, though the weather is cooler and conditions are more unpredictable. From the eastern Mediterranean, the Black Sea is a short hop, with late summer departures offered by the likes of Swan Hellenic and Princess Cruises. Next year, Voyages to Antiquity features the region for the first time. For Northern Europe and the Baltic, the height of the summer when the days are at their longest and temperatures should – in theory – be at their highest is the best time. More than 60 ships are set to sail the Baltic next year including larger lines such as Celebrity Cruises and Holland America Line. Smaller ships also making an impact are Windstar Cruises and SeaDream Yacht Club, which are cruising the region for the first time while Yachts of Seabourn will have two ships there next summer. The Canary Islands offer a warming winter sun option with lines such as Thomson Cruises and P&O Cruises offering fly-cruise and ex-UK departures respectively. Alaska is arguably the jewel in the crown of North American cruising with its promise of spectacular scenery and fabulous wildlife. This snowy wilderness opens up to tourists from around May to September, attracting cruises with major lines such as Norwegian Cruise Line, Princess Cruises and upmarket companies including Silversea and Regent Seven Seas Cruises. 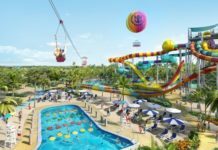 Disney Cruise Line and Oceania Cruises make their debut next year while Crystal Cruises is returning after a six-year break. New England and the Canadian states along the Eastern Seaboard are the places to be in autumn when vivid fall foliage turns the East Coast into a leaf-peeper’s delight. Cruises on lines such as NCL or RCI start in New York, New Jersey or Boston and either heading north towards Canada’s Maritime Provinces or south to North Carolina and Georgia. Some ships also call on this area as they return to the US after spending the summer in Europe. The Caribbean is arguably the most competitive cruising ground in the world with its mix of tropical islands and sapphire seas. 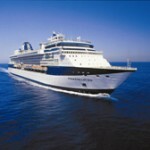 There are cruises year round, but the prime time is from November until spring. 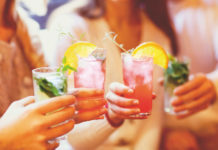 Summer Caribbean cruising is pleasant, but there is less choice of sailings as most ships have moved to Europe, plus there’s a risk of hurricanes. All the major companies offer Caribbean cruises, but there is room for smaller lines such as SeaDream Yacht Club, Star Clippers, and Silversea which visit smaller out of the way islands. Thomson Cruises is basing ships in the Dominican Republic and Cuba this winter. Take your pick from opposite ends of the earth for different icy experiences. 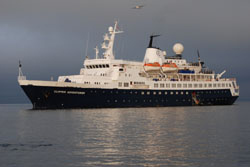 The Arctic is closer; it can be reached on cruises from the UK; and is popular in summer and winter. As the Land of the Midnight Sun, it is an irresistible draw in summer with the promise of 24-hour daylight. Warmer temperatures and the melting ice mean ships can sail further north to relatively untouched areas such as Spitsbergen, famous for polar bear sightings. Hurtigruten offers sailings to the far north of Norway, the North Cape and into the Arctic Circle, along with lines such as Costa Cruises, Cruise & Maritime Voyages and Fred Olsen. With its ice-breaker ships, Quark Expeditions even sails to the North Pole while Saga Cruises, among others, visits Iceland. In winter, the Arctic is famous for it spectacular natural aerial display, notably the Northern Lights, which attracts cruise lines offering Northern Lights sailings. Antarctica cruises are only possible in the height of the Southern Hemisphere summer from November to February. Specialists such as Quark Expeditions and Orion Expedition Cruises enable passengers to get up close and personal with the region’s rugged scenery and rich wildlife. The Middle East is a prime winter sun spot, so it’s no wonder that cruises have rocketed in recent years led by Persian Gulf sailings from Dubai with Costa and RCI. 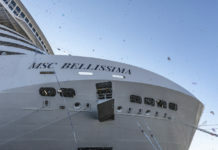 Now MSC is planning to base a ship in the gulf in 2011/12. Cruises along the Red Sea coast have also grown, with companies including Azamara Club Cruises, Spirit of Adventure and Silversea offering departures. In the Mediterranean, Libya and Syria appear in autumnal cruise itineraries. 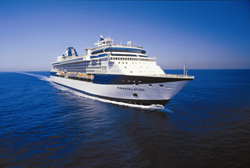 Sailings around the coast of Africa and India tend to be during winter, when some are marketed as sectors of world cruises. However, one-off sailings may be available in the spring or autumn as ships reposition themselves between Europe and Asia. Escaping to the tropics for winter sunshine and a liberal helping of Far Eastern culture has made this area one of the most promising players in the global cruising scene. During winter, there is less chance of monsoons and the high humidity that can be such a blight. 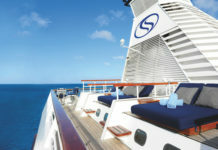 Some of the longer Asian sailings continue southwards to Australasia to capitalise on the Southern Hemisphere summer, while the South Pacific is offered by lines such as Crystal Cruises and Cunard on their world cruises, or as stand-alone sailings with the likes of Paul Gauguin Cruises. This is one of the hottest stars on the cruising scene and another good winter cruising ground when the weather is warm and carnival season is in full flow. Most lines, such as Azamara, RCI and Celebrity Cruises tend to include the must-see cities of Buenos Aires and/or Rio de Janeiro. 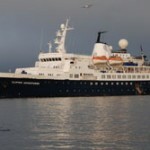 In January, Voyages of Discovery is setting off on its first circumnavigation of the continent.